Québec was founded by the French explorer Champlain in the early 17th century. It is the only North American city to have preserved its ramparts, together with the numerous bastions, gates and defensive works which still surround Old Québec. The Upper Town, built on the cliff, has remained the religious and administrative center, with its churches, convents and other monuments like the Dauphine Redoubt, the Citadel, and Château Frontenac. Together with the Lower Town and its ancient districts, it forms an urban ensemble which is one of the best examples of a fortified colonial city. Quebec City has quickly become one of my favorite cities in North America. It is the closest you can come to a European city without going to Europe. It is probably the most French city in Quebec. The surrounding area is also lovely and merits exploration. The Historic District of Old Quebec is one of the UNESCO World Heritage Sites in Canada. It is considered a world heritage treasure. Every corner of this historic district is teeming with history. Hence, it is also one of the most popular tourist destinations in Canada, particularly in the province of Quebec. 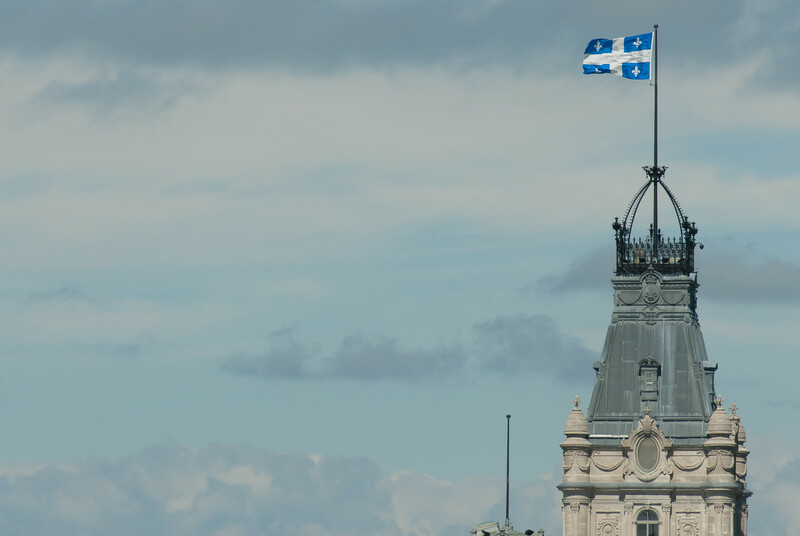 This historic district was established in 1963 by the National Assembly of Quebec. The site was the newest addition to the list of Historic Sites and Monuments at that time. The protected area included the fortified area and the peripheral areas as well. The entire district measures a total of 1.4 km in land area. It was inscribed as a UNESCO World Heritage Site in 1985. The Historic District of Old Quebec is one of those few cities in North America that has a bit of Old European charm to it. Hence, this fortified section of Old Quebec is a popular tourist attraction because of the historic charm to it. The city’s historic district also earns the distinction as the only walled city north of Mexico. It served as the cradle of the French civilization in North America at one point. That influence is still evident today with many elements of its colonial past embedded into the life and identity of Old Quebec. It was early in the 17th century when French explorer Samuel de Champlain founded the city of Quebec. He also commissioned the building of the fortifications, gates, and ramparts in order to protect the city during the time of the colonial wars. These fortifications and other structures serve as a reminder today of how the French struggled to gain control of the Americas, and specifically Canada. In fact, Quebec became the capital of New France in the late 18th century. The streets of Old Quebec feels a lot like stepping into a time machine and taking you back 400 years ago. This walled city has an undeniable European feel to it. The cobblestone streets, structures, and citadels are all well-preserved despite the fact that it has been 4 centuries since the French colonization. Visiting the Historic District of Old Quebec is easy. 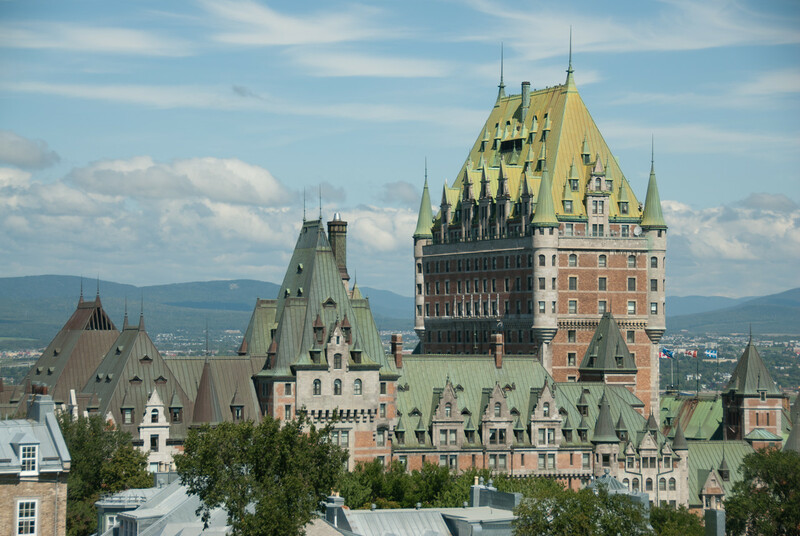 If you are traveling from outside of Canada, the nearest airport to Old Quebec is the Jean Lesage Airport. It is located roughly 16 kilometers from the airport. Meanwhile, you can also travel by train. The Historic District of Old Quebec is serviced by the Gare du Palais train and bus station. The Canadian Pacific Railway, built in 1915, features a chateauesque type of station that looks a lot like the Chateau Frontenac in design. There are daily rail services to Montreal and Old Quebec. 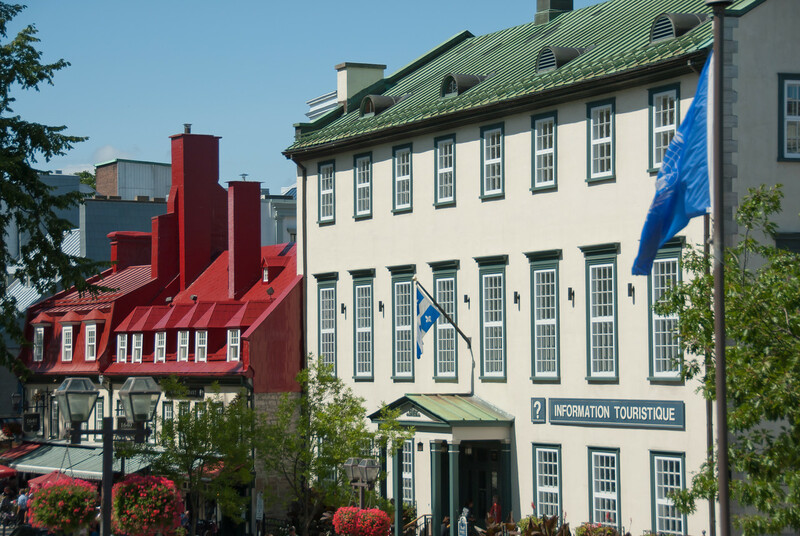 There is no ideal time visit and explore the Historic District of Old Quebec. No matter what time of the year you go, you will have something to see or do to enjoy your time there. If you visit in February or any time during winter, you will be treated to a winter wonderland experience with the Winter Carnival happening in Old Quebec. There are also several winter sports activities and entertainment that are going on especially at the heart of Quebec City. In the summer, the Summer Festival or Festival d’ete de Quebec is a must-see! It is typically held in July wherein the Upper Town is converted into a festive outdoor stage. 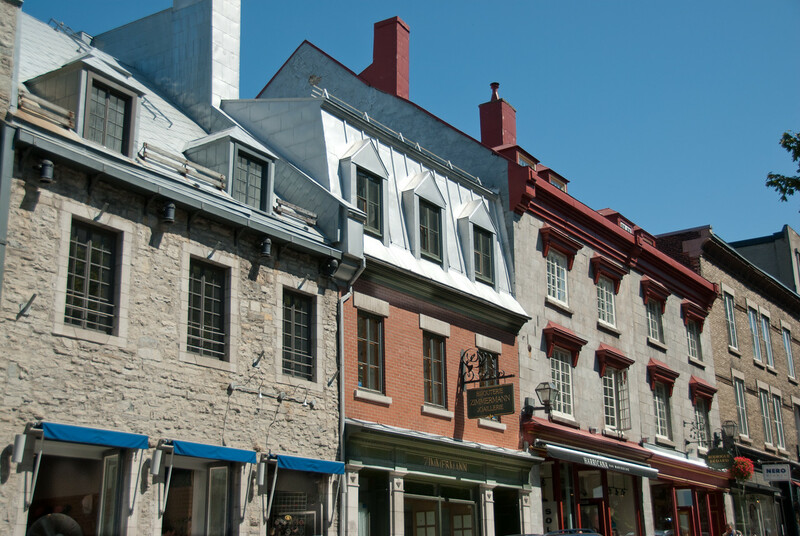 The Historic District of Old Quebec is ideal for walking. If you would like to explore the sights and attractions of this historic district, the best way to do so is by walking. The streets are narrow and winding, but there are plenty of historic treasures so walking at a leisurely pace is recommended so you won’t miss any of it. 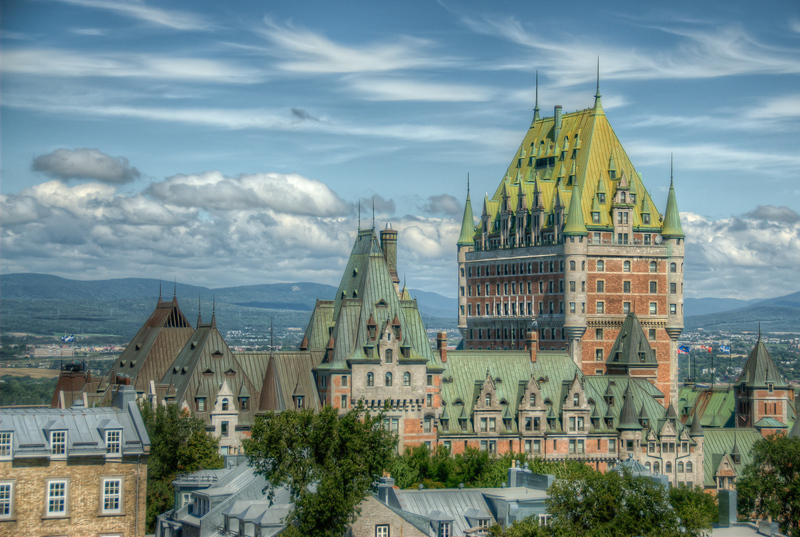 Chateau Frontenac: This fairytale castle is one of the icons of Quebec. In fact, it has become the face of the Historic District of Old Quebec. It is also perched atop a headland so you can get stunning views of the nearby St. Lawrence River. Known as the most photographed hotel in the world, Chateau Frontenac was constructed in 1892. Place Royale & Petit-Champlain: The Petit-Champlain district is another must-see in Old Quebec. Get lost for hours wandering through its pedestrian streets. Together with the Place Royale, this public square is filled with so much history. With plastered stone homes, gabled roofs, dormer windows, and large chimneys, this is one of the oldest commercial districts in North America. Old Port: The Old Port is the place to go in Old Quebec if you want to experience the laid-back charm of this historic city. You can follow a path by foot or bike along the St. Lawrence River or stop by the Quebec Public Market. Whether you are visiting on day or night, the Old Port never fails to impress. Rue Saint-Jean: Many consider Rue Saint-Jean as the gateway to Old Quebec. It is bustling with restaurants, churches, cafes, and historic buildings. The fact that there are many churches here reflect the old religious heritage of Quebec. Parliament Hill: The Parliament Building was the seat of National Assembly in Quebec and the first national historic site from Quebec. This historic building was built sometime in the late 19th century. The Fontaine de Tourny, or the fountain directly in front of the building, is a 7-meter fountain that lights up at night. This fountain is an attraction of itself. Plains of Abraham: The Plains of Abraham is a popular gathering place and park in Quebec. It is like Central Park to New York! However, it does have historic significance as many important historical events took place here. View the complete list of UNESCO World Heritage Sites in Canada. Impressive looking building in person, too. Doing the Winter Carnival and staying here has to be one of the things I’d put on my bucket list! I assume some HDR is at play here? Anyway, a true beauty. Beautiful photo Gary! Would love to visit Quebec in the near future, seems like there is so much to see there! Great shot, what kind of setting is this? It is eery and almost pops out at you.